'Day Of' Items — The Ink & Ivy Co. There are so many possibilities for "day of" items to add an extra personal touch to your event. 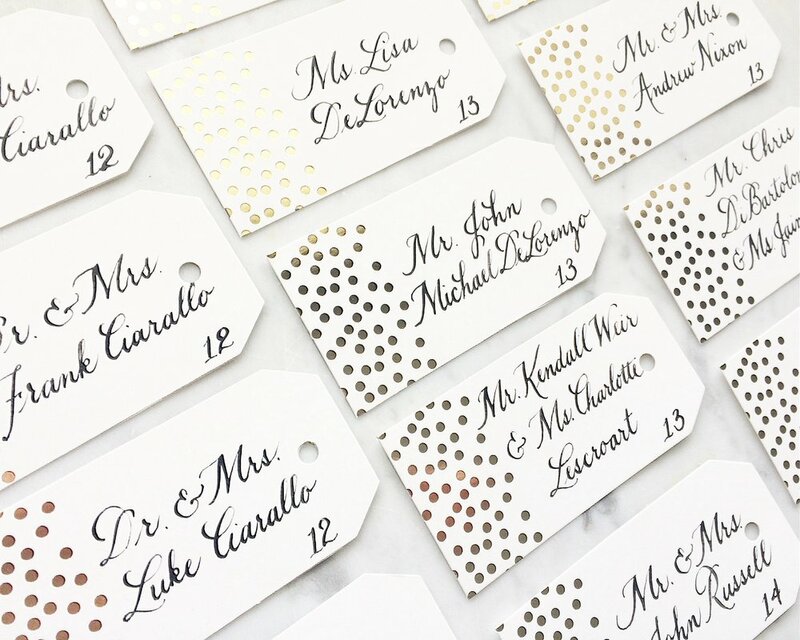 Menus, table numbers, custom signage, and seating charts are just the tip of the iceberg, and I love when my clients want to do something unique! Please fill out the form below to tell me some of your ideas!